Mix in shortening and egg. Mix in small amounts of milk until it becomes a batter. Bake about 20 minutes, until toothpick inserted in center comes out clean. 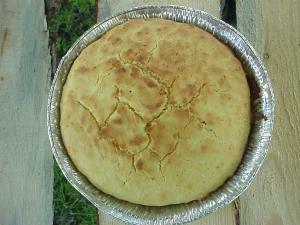 This entry was posted in Dutch Oven and tagged Bread, Corn, Cornbread, Dutch Oven. Bookmark the permalink.